This book is as personal as it gets. 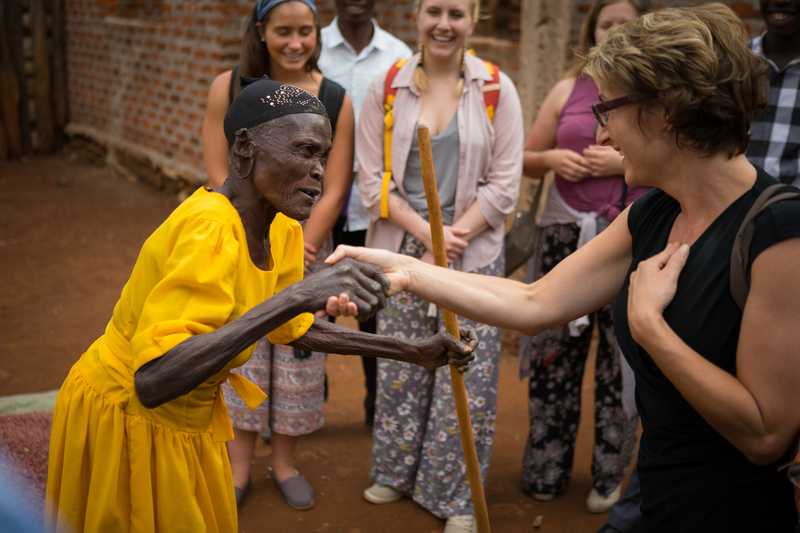 It shares the early stages of our partnership when I first met members of the Immaculate Heart Sisters of Africa who were studying in Buffalo, and led my first trip to the Mara Region of Tanzania in 2009. But it also details the fascinating evolution of our engagement as we expanded our focus and eventually connected with diverse partners who share their stories and visions in their own words. Also featured are some of our outstanding UB students who have allowed their time in Tanzania to permeate their lives and career goals, and recollections and context from my dear friend and colleague Dan Nyaronga who happens to be from the very region, and town. How do these stories, impacts and visions all connect? Please consider reading about our journey and allow yourself to imagine all that is possible when we come together toward ideas and goals that are larger than our own. It is important to note that we are making this book available in a free PDF format which is accessible, downloadable, printable, and shareable from any computer or digital device around the world. I hope you will all find inspiration as I continue to be inspired every day by our partners and friends who are committed to changing the lives of women and girls in the Mara Region. On Monday October 1st we will welcome partners from Ghana, Jamaica, Tanzania and Zimbabwe for our inaugural week of sharing, capacity building and networking toward the goal of creating new collaborations, projects and experiential learning offerings. What will come from this exciting week of presentations, studio sessions and innovation modules? Our website is ready to receive idea submissions which will be synthesized and shared at our closing reception on Friday, October 5th at 4:30 pm in Silverman Library. To expand the scope of possibilities, we are introducing a suite of learning platforms, resources, and opportunities that enhance students’ global collaboration experiences, through integrating them within their UB coursework while developing compelling narratives that will support their learning and professional goals, AND maximizing their impact within the communities they touch. COIL (Collaborative Online International Learning)- we invite faculty to add collaborative course content to an existing course or engage in the development of new offerings. Through collaborative course modules and exercises, students can develop cultural competences, communication and teamwork skills while completing core courses and projects. Global Collaboration Digital Badge. Once students have completed a global collaboration project, we invite them to enhance their experience through guided reflection and integration exercises, towards the goal of developing compelling narratives that connect with their experiences with academic and career goals. GPS Journal. Our new open-source journal hosted by the UB Libraries provides students with a platform for sharing research, insights and innovations. And to ensure active collaboration with partners and integration with coursework, student authors are required to provide testimonials from partners and subject librarians. Mentored Independent Study A great way to prepare for or enhance a global collaboration experience is to delve into related research and frame specific interests within broader questions and challenges. We invite students to engage in a semester long independent study in partnership with their respective department/program of study and ELN staff.